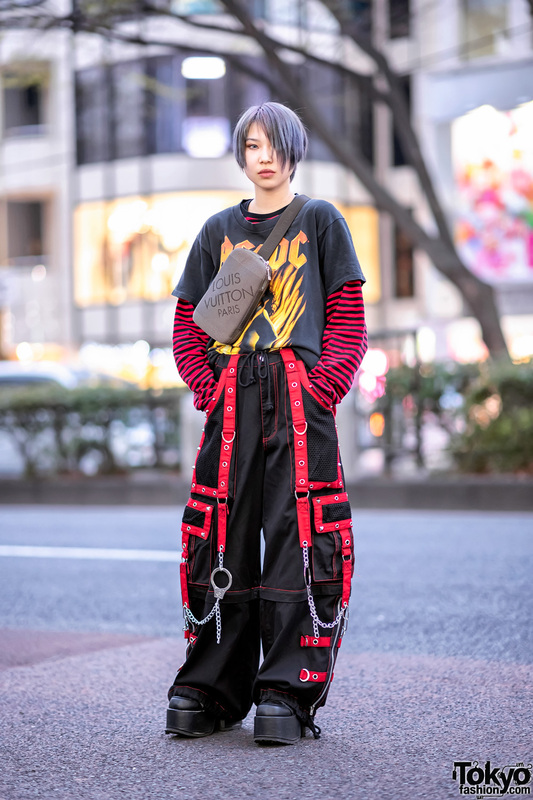 Here’s Tomato, a 20-year-old working in the apparel industry with a cool street style that caught our eye in Harajuku. Tomato donned a sheer red dotted dress from Forever 21, which she wore over a black crop top and black shorts. She added a black blazer from H&M and black heeled lace-up boots from Zara. 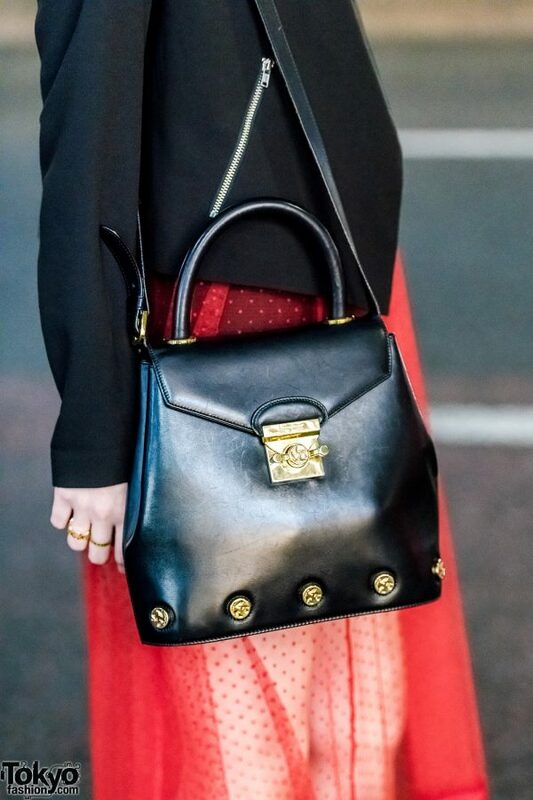 Red lips, a wavy bob with bangs, and a Salvatore Ferragamo black shoulder bag completed her look. Follow Tomato on both Instagram and Twitter to keep up with her social media updates.